Back in February, Mario Singh, Director of Training and Education at FXPRIMUS, expressed his opinions on the Southeast Asian market. One country he focused on was Myanmar. At the time, Singh stated that, “The hot story for Southeast Asia now, is undoubtedly Myanmar. The country has attracted considerable attention since its government decided to pursue economic reforms, and sanctions have begun to ease on the country. Foreign investors, not just companies, but also countries, are eager to establish a foothold in Myanmar’s potentially untapped resources, both in the ground and the people.” He added that specifically Japan, was taking a leading role in investing in the country. Following on the potential growth and involvement of Japan, Tornstone Technology, providers of securities and derivatives processing software, announced that Daiwa Institute of Research Ltd (DIR), the global systems integration, research, and consultation arm of Japanese Daiwa Securities Group, is adopting their solutions. 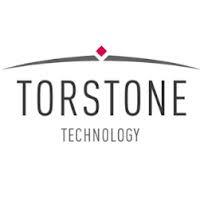 According to the deal, DIR will be using Torstone’s services as the back office post-trade processing element of DIR’s front to back office solution for Myanmar’s new securities industry. Currently, DIR is working with The Central Bank of Myanmar and Tokyo Stock Exchange to help create infrastructure for the stock exchange, and to develop Myanmar’s capital market. 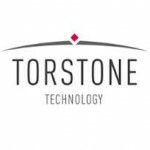 Providing services for the new exchange, Torstone Technology prepared its enterprise-level clearing, settlement and integrated accounting system, Inferno, to handle the post-trade processing of equities and government bonds on the new stock exchange.